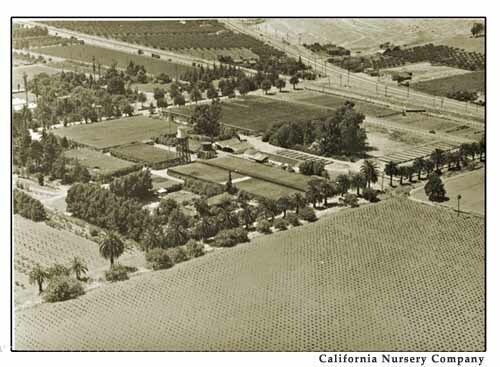 The California Nursery Co., founded in 1865 by John Rock, was originally located at Wayne Station in San Jose. It relocated to Niles, CA (Fremont) in 1884 and incorporated. The Nursery was purchased by George C. Roeding of Fresno in 1917 and has been in the family ever since. At first the nursery was mostly wholesale, then became a retail operation, ultimately becoming the largest firm of its kind west of the Rockies. The nursery was known far and wide in the Bay Area and often became the destination for garden lovers and horticulturists. From the early 1930s to the mid 1960s, the nursery hosted annual bulb shows from mid March to mid April, drawing as many as 5,000 on a single weekend. The Roedings were not only business men, but were very civic minded as well. George C. Roeding, Jr. continued the traditions of his father in Niles. George Jr. established the Central Chapter of the California Association of Nurserymen; was among 10 prominent Washington Township men to put up money to study the feasibility of establishing a new city; was appointed by Robert Gordon Sproul as a Director of the East Bay Regional Parks in 1962; became the first Director the new City's parks and Recreation. Over the years he contributed specimen trees and plant material to the City of Fremont, specifically many of the conifers at Central Park/Civic Center; he gave away hundreds of bare root fruit trees to the citizens of Fremont in the mid 1960s. He donated the rest area by the train station on Mission Blvd. in Niles to the State of California, which subsequently gave it to the City of Fremont. As the owner of one of the gravel pits (now Quarry Lakes Regional Park), he cooperated with the Alameda Co. Water District to allow fresh water percolation in the pit to help prevent salt water intrusion. Working with the local PG&E agent in Niles, they were able to erect the two "Niles" neon signs. He was mainly responsible for securing the first telephone dialing system in the area, and pushed for the first underground utilities in the Rancho Arroyo development in Fremont. He lobbied to upgrade the Niles Post Office to a first class status. 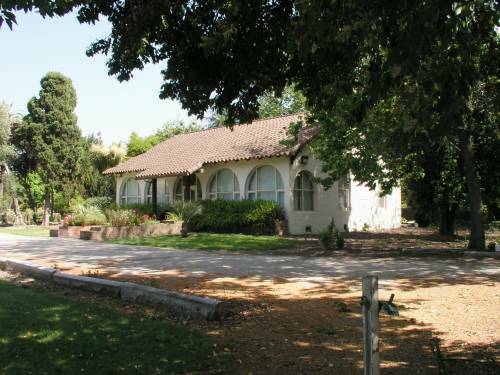 After 1972, the former nursery grounds became a city park featuring the Vallejo Adobe, with the retail/wholesale yards being leased out over the years to various nurseries. The Roeding Family continues to operate the California Nursery Co. as a retail mail order business, but does not have any retail sales yards. Mission Statement: The purpose of this organization is to preserve the history of the California Nursery Co. in a museum containing the archives (catalogues, photographs, records, landscape design plans, 16mm films, etc.) and restore nursery equipment, and to provide for the restoration of original horticultural plantings for the education and enjoyment of present and future generations. It is the intention of this Council to create a public living history preserve of this 140 year legacy, dedicated to the memory of George C. and Frances B. Roeding, Jr.